This is the newest EP from the mysterious experimental black metal band Sect Pig. It features one lengthy track and follows on from their 2013 debut EP "Slave Destroyed" and their 2015 EP "Self Reversed. It's once again been released by Nuclear War Now! Productions. It promises a hallucinatory journey into the nether-reaches of black metal and extreme noise. 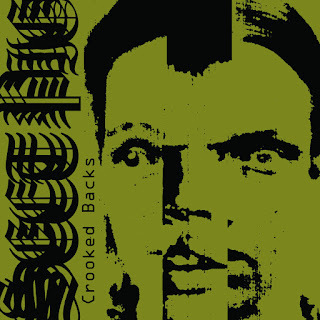 The stark sample that begins “Crooked Backs” on the promo sent refers to the sterilisation of a young female and it doesn’t get any happier, as Sect Pig unleashes a disturbing take on extreme music, encompassing strange vocal contortions, electronic samples and discordant black metal, which itself uses melody to create unnerving feelings. It’s extremely hard to convey adequately what is going on here without using adjective that haven’t been overused before but needless to say, this is a tough listen. That said, it’s not without it’s (slightly) easier moments, where Sect Pig uses post-punk and death-rock, adding to the melody and overall textures within the music. You’ll find it hard to feel anything other than uncomfortable when listening to those samples due to their subject matter; however, they fit the release perfectly where Sect Pig is concerned. At times I’m not sure whether this is an experiment that tests the tolerances of the listener or if it is avant-garde music at it’s highest echelon. “Crooked Backs” is both an uneasy and an enthralling listen. One which will appeal to those who have a sense of intrigue when it comes to uncomfortable subject matter.